Redring’s new ‘3 in 1’ boiling water tap, Reditap, offers an affordable option for customers looking for a boiling water tap that is suitable for domestic kitchens and comes fully fitted with a safety lock on the tap, preventing the accidental dispense of hot water. 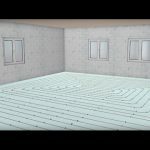 As demonstrated in this video for the installer, Reditap is a straightforward installation and can be fitted in less than two hours. Requiring minimum tools for connection, the Reditap comes complete with all the necessary fittings in one box.